Chico & Rita DVD and Blu-ray release date was set for September 18, 2012. 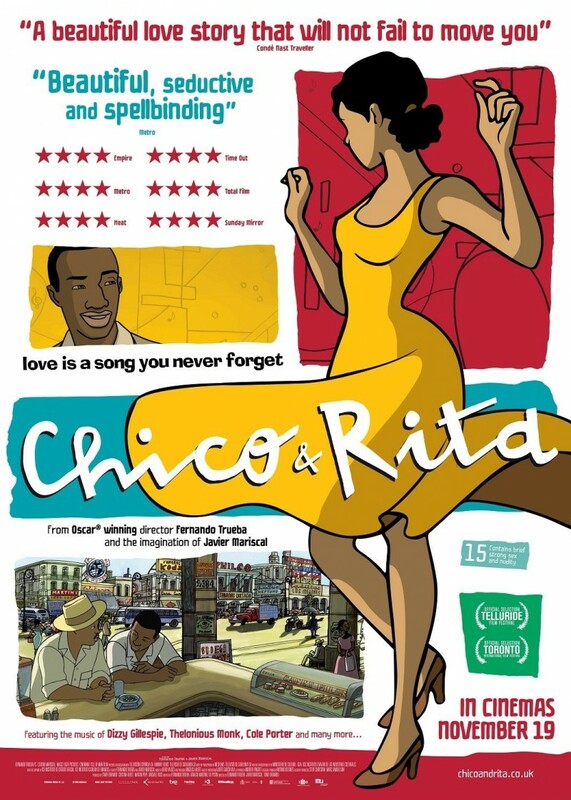 Sparks fly when Cuban jazz pianist Chico sees singer Rita performing at a Havana nightclub in this animated romance. But Chico is already involved with another girl, which is a turn off for Rita, who then accepts an offer from an American talent agent to relocate to New York City in order to advance her career. Chico soon follows after Rita, not wanted to lose her, but as she achieves her dream of stardom, it seems that they are never in the right place at the right time. Chico decides to return to Cuba, where political unrest is making everyone uneasy.